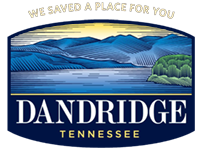 Whether you prefer the convenience of a a hotel or motel, the charm of a bed and breakfast, the coziness and intimacy of a lakeside or mountain cabin, a condo or the outdoors at a campground, you will always feel at home in Dandridge. From familiar name brands to historic inns, make your stay in Dandridge unforgettable. Below are several local accommodations.